With these incredible packages, the deal is as good as done. Entertain and engage employees or clients through exclusive access to our expansive campus. 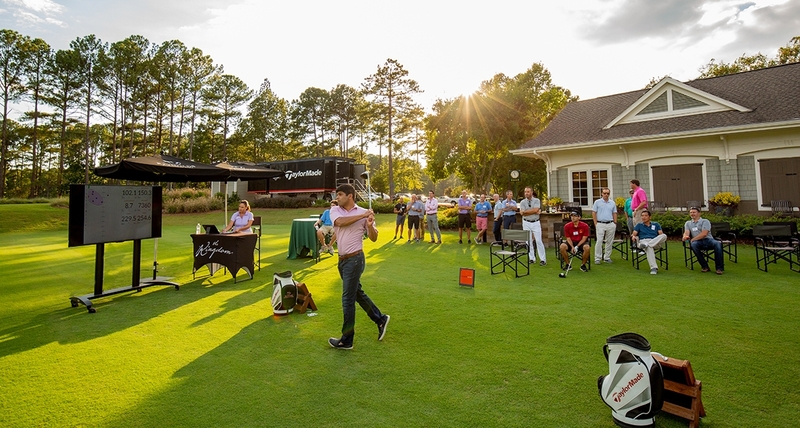 With incredible amenities including personalized club fitting and professional instruction, all set in a striking and lighthearted atmosphere, we provide a corporate experience like no other. A nine-hole putting tournament outlined with tees and accented with natural elements of greenery, rocks, and sand. Spectacular to see and provides loads of entertainment and laughter. Staged at The Oconee course or The Kingdom with a golf professional, cocktails, and hors d'oeuvres. Add globe lighting to take this playful function into the evening. Players hit for a three-tiered tee box ranging in length from 90 to 40 yards. Arranged and staffed by a golf professional at The Kingdom. Enhance the event with cocktails and hors d'oeuvres for your guests. See who can hit the longest drive with distance measured by TrackMan. The most up-to-date radar swing analysis displayed on a large screen. Guests will be able to monitor and cheer on the competitors as they make their swing. Available for play on The Oconee Range or at The Kingdom. Our most popular group golf experience has your guest rotating through a variety of golf challenges. 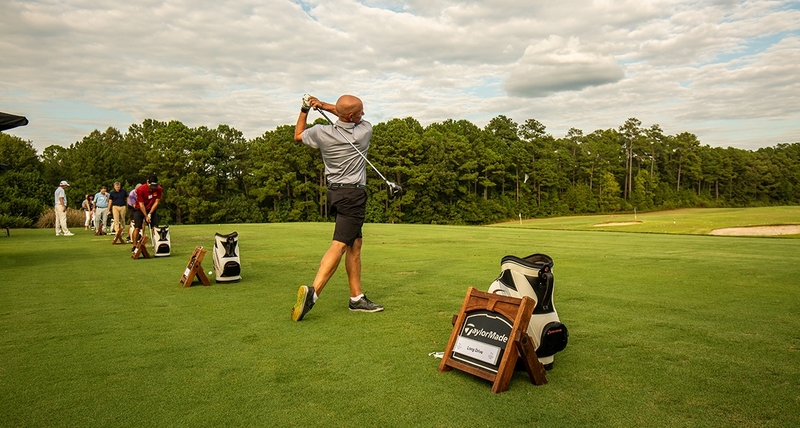 Test your skill on long drive competitions and short game contests. Expert TaylorMade Club Fitters will be on hand to have a custom club built for any guest interested. At The Kingdom, music and drinks provide a fun environment where our world-class instructors are waiting to guide any beginner or improve an established player. Consult with our talented group of golf professionals to custom design an event that sparks creativity and fosters motivation in a beautiful location. The Reynolds Kingdom of Golf can create a flexible group event that builds new relationships and solidifies existing bonds with your guests. Give your guests a unique golf experience during an afternoon break. Speed Club Fitting includes a full driver fitting in 30 minutes at The Kingdom and guests leave the same day with the latest TaylorMade equipment. Instruction is available at an additional cost.